Fiesta Inn continues to evolve, transform and innovate its Business Class hotel concept. With a fresh, modern image and new facilities, Fiesta Inn Puerto Vallarta is the perfect example of business accommodations done right. Designed to encourage creativity and productivity, the hotel's spaces are functional yet friendly, allowing guests to be connected while remaining independent. Today's Fiesta Inn is more than simply a hotel; it is a community of professionals who thrive on success. The hotel is located in the La Isla shopping center. In addition to its 144 guest rooms, the hotel is home to the 360° Lounge, where guests will find the B-On business center, La Isla restaurant, and a convenience store and self-service area. Amenities include 24-hour room service, high-speed wireless Internet, fitness center,two outdoor jacuzzis, laundry and dry cleaning service. Please note that check-in begins at 3pm. Check-out is at 12 pm. Express check-out is recommended. Fiesta Inn Puerto Vallarta has something for every palate at La Isla, a 24-hour restaurant concept that lets you choose what you want and when. Offerings include a breakfast buffet, restaurant, grab-and-go, room service, or special items to take a break and relax. Guests are guaranteed to find a comfortable, modern working area in the B-On business center, located in the 360° Lounge, which offers computers and office services along with fast, reliable Internet access for staying connected to the business world. Private meeting rooms are also available for guests who need to host videoconferences, conference calls, or presentations. 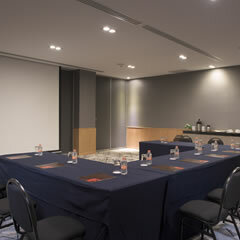 Fiesta Inn Puerto Vallarta is the perfect venue for a meeting or event. It has two rooms equipped with high-speed Internet, white-boards, projector and screen, audio system, flip charts, and coffee break service. Combined with the personalized service offered by our trained staff, we have everything you need for a successful and productive event. This hotel is clean, well attended by staff, and secure. It’s part of a shopping mall with great shops. A special shoutout to Hector, who attend the desk across from the front desk. He helps with anything and never fails to smile. Hector made my visit! I’ll stay here again! "Long Weekend at Fiesta Inn"
Fiesta Inn is a brand new hotel built at the most luxurious mall in Puerto Vallarta.The hotel is very clean and the rooms are spacious with showers for two. The hotel offers free breakfast buffet.There is a small pool with a hot tub on the roof by the restaurant and bar The only downfall is a complicated access to the beach, however; if you like shopping, this is the place to go. Great location, excellent service, safe neighborhood,very hospitable, delicious breakfast. 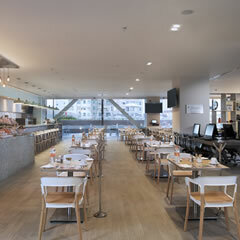 There is a shopping mall with restaurants that are conveniently locate right outside the hotel. Movie theater also within steps of the hotel. Highly recommend this hotel y'all!. A little hard to find hotel. Taxi must drop you off in underground parking lot then you take elevator to front desk. Hotel is connected to great little shopping mall with good restaurants. Comfortable and clean, nice pool. We'll definitely go back. Clean, safe, great location, pleasant staff. Steps to the beach. Nice pool. I would definitely stay there again. Shops and restaurants are a bit pricey, but you can walk downtown in an hour, or bus for less than a dollar in under 15 minutes. Distraction-free relaxation or productivity is exactly what this room was designed for. Guests will find everything they need for a stress-free stay, including a king bed, closet, telephone, coffeemaker, full bathroom, air conditioning, cable LCD TV, wireless Internet, and executive work desk and chair. This functional room meets the needs of business and leisure travelers alike with its two double beds, closet, telephone, coffeemaker, wireless Internet, air conditioning, cable LCD TV, full bathroom and complimentary personal care items. Guests who wish to work on the road will find a comfortable place to do so at the work desk that also includes a lamp and chair. We go above and beyond to meet the needs of all guests. This room is equipped with a single bed, work desk, closet, telephone, coffeemaker, wireless Internet, air conditioning, and a cable LCD TV. The bathroom includes a shower and a raised toilet with safety handrails, as well as an extra-wide door.